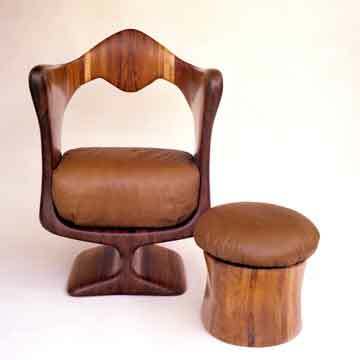 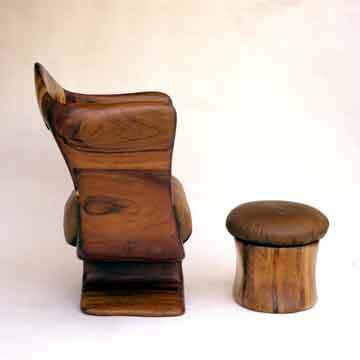 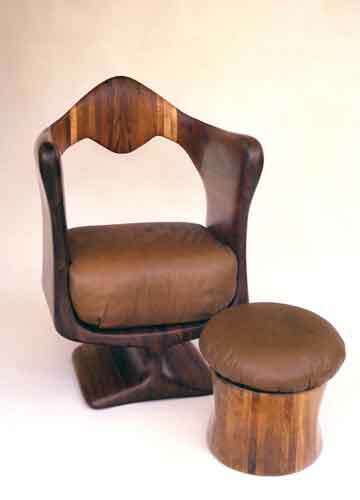 This chair was constructed with a technique called Stack Lamination. 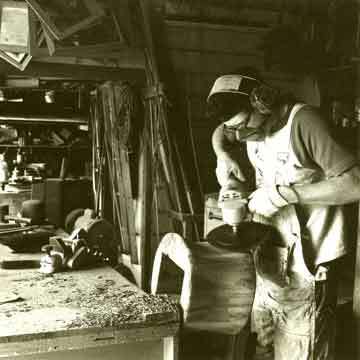 With this technique you glue pieces of wood together to form the basic shape then using planners, gouges, routers, grinders and finish sanders you remove the wood you don't want and hopefully end up with something desired. 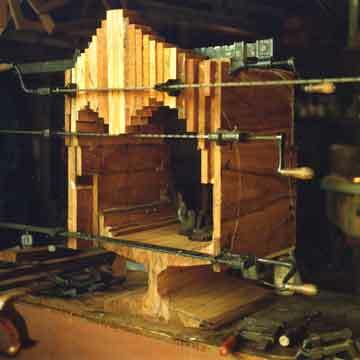 This is a very labor and material intensive process and with todays price of lumber somewhat cost prohibitive.